During the School Terms at 9:30am on Sunday mornings we hold our Children’s Sunday School as well as a seperate Bible Class for everyone else. The aim during this 9:30 Bible Class has been to study and discuss together topics from Scripture that we may not have opportunity to discuss in other settings and at a time when the children are cared for in Sunday School. This allows for all ages and stages to engage in Bible study. Beginning on Sunday, August 5th we will start a new topic. In doing so, we will also utilise a video teaching series in this setting for the first time. We can now listen to the author of the book, Sinclair Ferguson, teach through its essential lessons via video as well as utilise a set of discussion questions helping us apply the truths of Christ to our life. 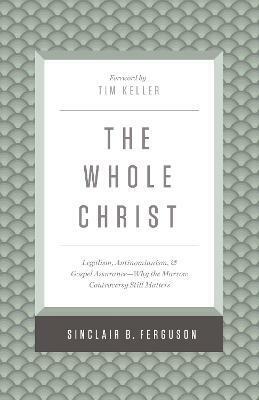 As a whole this study will help us see the wonder and sufficiency of Christ more fully, leading to a greater assurance in Christ as we live the Christian life. Each video is approx. 25 minutes in length. We will open with prayer, watch one video and conclude with a time of discussion, wrapping up by 10:15am.